Can’t get enough #content on Instagram? Is following individual people just not enough to fill the social media void in your heart? Fret no more, for Instagram appears to be testing the ability to allow you to follow hashtags instead of humans, as spotted by @Social_pip. In all seriousness, it could be a handy feature. Say you want a regular influx of cute cat photos, but can’t be bothered to search for them or follow their owners. Maybe you want your daily dose of #fitspo to come from new sources. Or perhaps you just want to follow a niche topic, and don’t know who to follow – so why not just follow the topic itself? 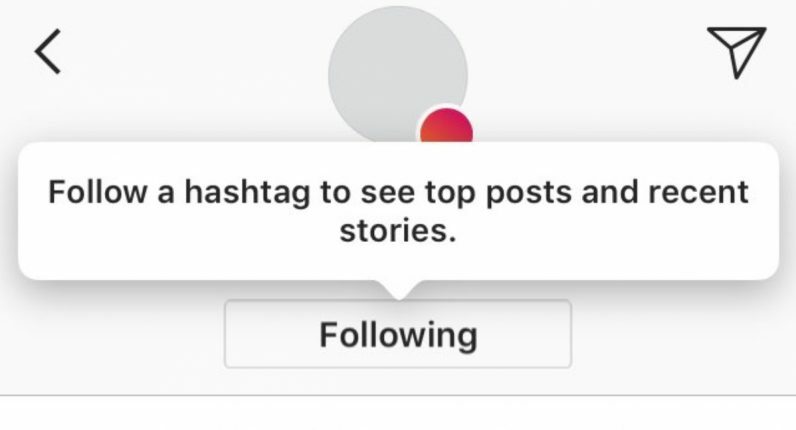 That said, considering the popularity of some hashtags, posting everything on your feed would be overwhelming, so the company appears to be limiting it to ‘top posts and recent’ stories, as per a tooltip that shows up above the follow button. So far the feature has only shown up briefly for one of TNW’s team members, so it appears to be a limited test for now. Instagram declined sharing more information when we reached out for comment, but experimental features often end up rolling out widely. This one seems like a particularly useful one, so I imagine it’s only a matter of time.